New members can expect immediate price hikes effective January 15th. UPDATE: As of April 1st, 2019, Netflix has sent out notifications to many existing subscribers that price increases will start on Wednesday, May 1st, 2019. If you have a Netflix subscription, check your email. Like death and taxes, it seems one of the certainties in this world is that Netflix will continue to raise its subscription fees. 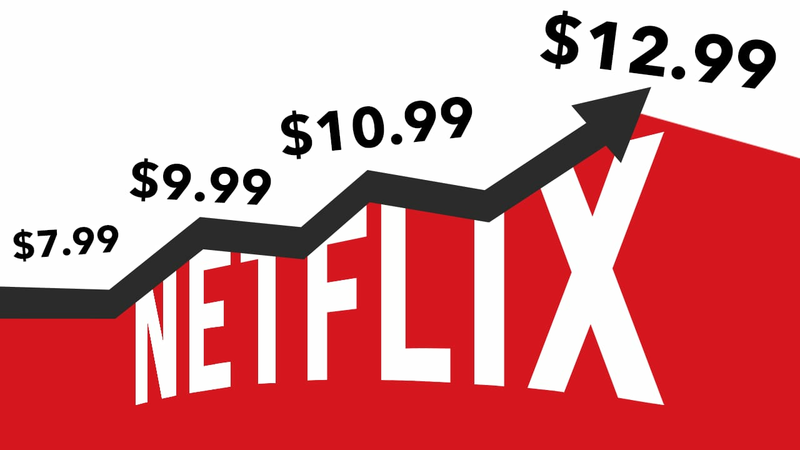 On January 15th, Netflix announced an immediate price hike for new memberships, increasing rates by as much as 18 percent. Basic plan: Stream on one device in SD. Price increase from $8 to $9. Standard plan: Stream on two devices at the same time in HD. Price increase from $11 to $13. Premium plan: Stream on four devices at the same time in HD and ultra HD. Price increase from $14 to $16. Netflix last raised its prices in late 2017. Back then, the cost of a standard plan only went up by a dollar, but people still freaked out about it. In fact, one study suggested the increase actually drove away a significant amount of low-income customers. The response over at the Slickdeals community was mixed, to say the least. While some were fine with the price increase to maintain access to hits like Stranger Things and Bojack Horseman, others vowed to cancel. We're curious how the latest rate hikes will play out with our community and subscribers at large. The new prices are still cheaper than HBO Now, which comes with a $14.99 price tag. Meanwhile, Hulu's commercial-free plan comes in at $11.99, now cheaper than Netflix's most popular plan. But with streaming services like Disney+, NBCUniversal's package, and WarnerMedia's offering all expected to launch in the near future, the landscape is only getting more and more crowded. That said, Netflix is likely raising prices to keep shareholders happy while continuing to fund its colossal original content library. The company reportedly amassed over $12 billion in debt as of October 2018, and is expected to spend at least another $3 billion this year. Netflix's new prices may not impact one lucky group of people, however. T-Mobile customers who have two or more lines on an eligible T-Mobile ONE voice plan are rewarded with a free standard Netflix subscription, thanks to its Netflix On Us program. We reached out to a T-Mobile representative about the price increase, and they said "Last time Netflix increased their rates, we didn't charge the customers. I don't see us charging for that Basic Netflix account. T-mobile is offering that free of charge." So, there's likely no need to worry about it for the time being. While $2 more every month likely won't have subscribers canceling their subscriptions en masse, Netflix has established a pattern of increasing its rates every two years or so. It does beg the question, how much are you willing to pay for Netflix? At this rate, a standard plan might cost you nearly $20 a month by 2025.